There has been much thoughtful, passionate, and critical dialogue as many of us await the verdict in the Johannes Mehserle trial. The execution of an innocent and unarmed Black man, the subsequent investigation and arrest, and the current trial have exposed the structural racism inherent in our criminal injustice system. This tragedy has provoked a level of political discussion that we deeply appreciate and to which we want to respectfully contribute. 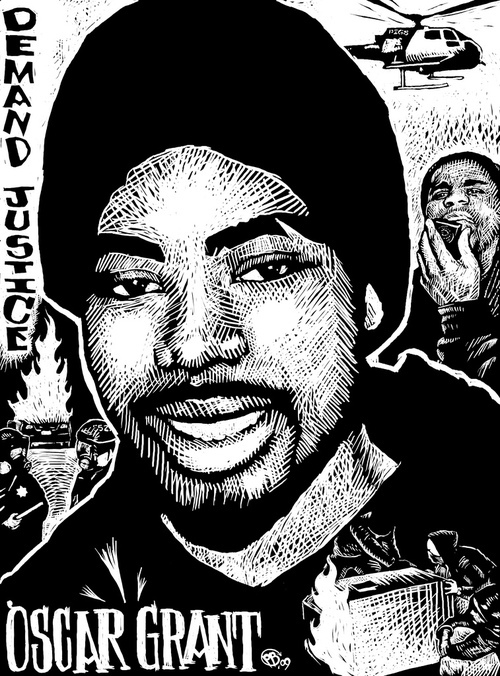 The people of Oakland have righteous anger about the death of Oscar Grant, and we want to express it. We must remember that any semblance of justice we’ve seen in this case so far is the result of the spontaneous, sustained, and organized efforts of thousands of people. We cannot be silent while the value of Black lives goes unrecognized and the safety of our sons and fathers, our sisters and neighbors is under constant threat. It is both our right and duty to gather. We believe that our right to assemble and protest should be free from the threat of police repression. We are calling on the Oakland Police Department to exercise full restraint and to observe all civil rights when responding to any mass actions or protests that come about as a result of the trial verdict. Regardless of the Mehserle trial verdict, the outcome will not be enough. The institutions that trained him and who have continued to back him financially in this legal process, are committed to doing the same for the scores of other officers that harass, humiliate, racially profile, and terrorize our neighborhoods daily. Mehserle pulled the trigger but there are many who must share responsibility. These institutions, their policies and practices remain unchanged by his prosecution. We cannot stop organizing until the systems and institutions that perpetuate this terror have been radically transformed. Racism is the foundation of this country, and it manifests in countless ways: from the gentrification of urban neighborhoods to the massive displacement of Black people from Oakland, from legalized racial profiling of immigrants with SB 1070 in Arizona to gang injunctions in North Oakland and San Francisco. 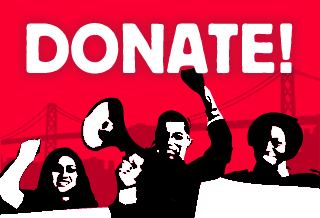 Oakland and the federal government’s disproportionate spending on the police and military budgets alongside the continued disinvestment in urban communities – and the systematic dismantling of the social safety net – must all be understood as part of this long racist history. Our communities and movements face many critical needs in this moment. We have the need to express our outrage, to grieve and heal from our individual and collective trauma, to strategize around our demands, to clearly identify those responsible, and to take action against racism and towards liberation. Mass protests, the creation of art, the building of community coalitions, and the inspiring leadership of a newly radicalized generation carrying on the movement for social justice are but a few of the many beautiful expressions of our resistance and resilience. It is the conscious and engaged masses that are our enemies’ biggest threat. Our work is not done. The struggle continues.